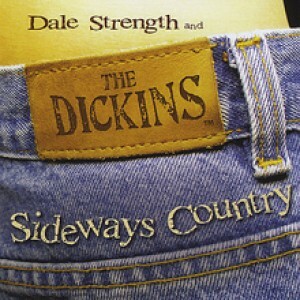 Dale Strength and the Dickins: "Sideways Country"
Dale Strength and The Dickins take country music to a whole new stratosphere! It's not traditional country and it's not really contemporary. It's Sideways Country. The Dickins, aka Dale Strength, Bobby Strength and Gregg Inhofer, have been making music together since they were kids. Dale and younger brother Bobby have been steeped in country music since birth. They are the sons of country music singer/songwriter and Nashville DJ Hall Of Fame recipient, Texas Bill Strength. Shortly after hooking up with the Strength brothers as a teen, Gregg Inhofer was immediately adopted by Texas Bill as one of his "boys" and has been considered family ever since. The Dickins puts together a fun mixture of styles on this infectious new CD. Take a listen. We think you'll love it!